Evergreen. Eventual height to 45cm. 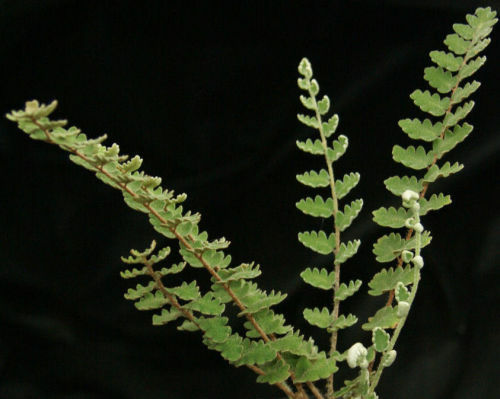 This fern is adapted to dry conditions and needs a well drained compost and protection from winter wet. This seems one of the easiest of the xeric ferns to establish so long as it is not overwatered. A rarely obtainable but good garden fern such as this is quite a treasure, grow in a rockery or containers it also makes a good indoor fern!